A. Kirk Haun, M.D., F.A.C.S. 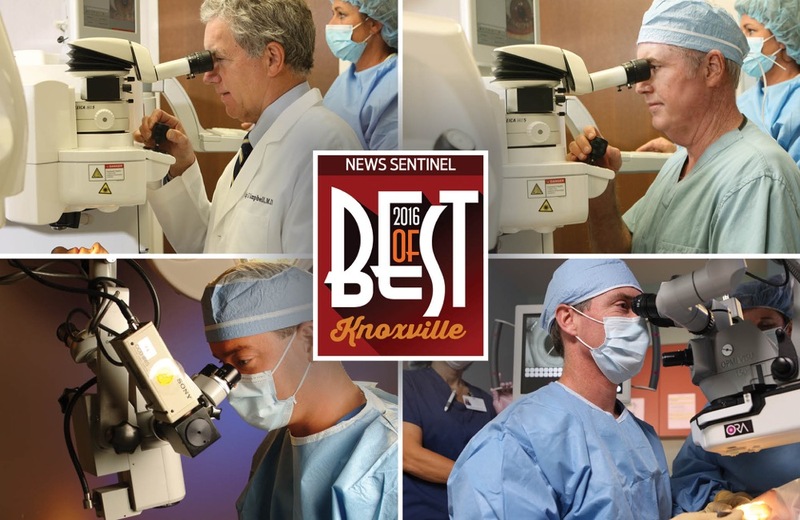 Campbell Cunningham Laser Center, Knoxville’s first on-site laser center dedicated to LASIK vision correction, was recently voted the winner of the LASIK Surgery category by readers of the Knoxville News Sentinel as part of the newspaper’s annual Best of Knoxville readers’ choice awards. In addition, the practice of Drs. 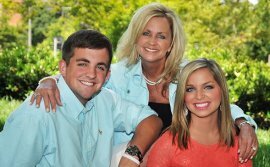 Campbell, Cunningham, Taylor and Haun was voted a favorite in the Optometrist category. There is no cure for glaucoma. And glaucoma can rob you of your vision without warning. So we know that if you’ve been diagnosed with glaucoma, we are going to be working closely with you to monitor—and manage—the disease. Glaucoma is a group of diseases that causes vision loss through damage to the optic nerve. Doctors used to think that glaucoma created high pressure within the eye, and that was the source of the damage. However, we now know that other factors are involved, and that even patients that don’t suffer from high intraocular pressure can still suffer sight loss from glaucoma. 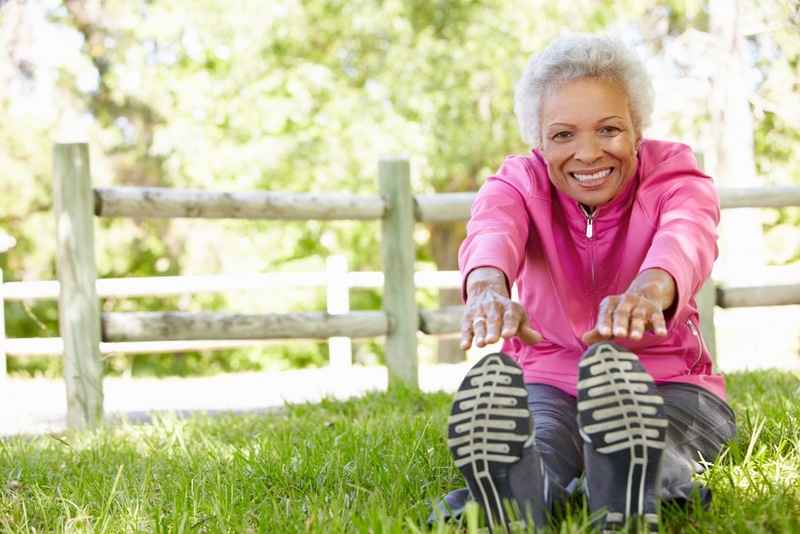 Are You At Increased Risk For Glaucoma? Anyone can get glaucoma. But you may be at greater risk if you are African-American or Hispanic. You may also have greater risk if you have a relative with glaucoma, are over 35, have diabetes or high blood pressure, or if you have vascular disease. You may also be at higher risk if you are very nearsighted. How Do You Know If You Have Glaucoma? You may not—that’s the problem. Glaucoma is often known as a silent thief of vision because many forms of the disease don’t have symptoms. The only real way to tell if you have glaucoma is to be tested. Routine vision examinations include a simple, painless glaucoma test. Finding out if you have glaucoma could be the first step toward saving your vision. If this test indicates there may be a problem, additional tests may help determine the severity. It’s important to have regular vision checkups. Click here to see how often you should have your vision checked. As we said, there is no cure for glaucoma, but there are numerous ways to treat the condition and manage it. Drs. Campbell, Cunningham, Taylor & Haun will work closely with each glaucoma patient to determine the best treatment course and make sure that it’s implemented properly. Medications. Eye drops and pills are often prescribed as treatment. Medications must be taken as prescribed to be effective. Your doctor will explain any side effects, and you should stay in communication with your eye doctor if you have any trouble. Laser surgery. This is a new technique that is being used more and more. The eye is numbed with drops, and the laser applied to the trabecular meshwork, the area of the eye responsible for draining fluid. The procedure can improve drainage and eliminate or reduce the need for medication. Filtration surgery. During this procedure, a new drainage channel is formed to allow fluid to drain from the eye. Before any procedure is implemented, your Ophthalmologist at Drs. Campbell, Cunningham, Taylor & Haun will discuss it in detail with you. Have more questions about glaucoma for yourself or a loved one? Or want to schedule an eye examination? Contact us here. Click Here to watch an informative GLAUCOMA VIDEO and read more about the condition. Drs. Campbell, Cunningham, Taylor & Haun Unveil Updated Website. Enhanced Site (www.ccteyes.com) Offers Better Patient Experience and Comprehensive Information Resource for the Health and Treatment of Eyes. Home Page of the newly updated Drs. Campbell, Cunningham, Taylor & Haun website. KNOXVILLE (September 29, 2014)—Newly-launched website for Drs. Campbell, Cunningham, Taylor & Haun demonstrates that the area’s oldest Ophthalmology practice is leading the area with the latest in technology. Drs. Campbell, Cunningham, Taylor & Haun and The Campbell Cunningham Laser Center P.L.L.C. 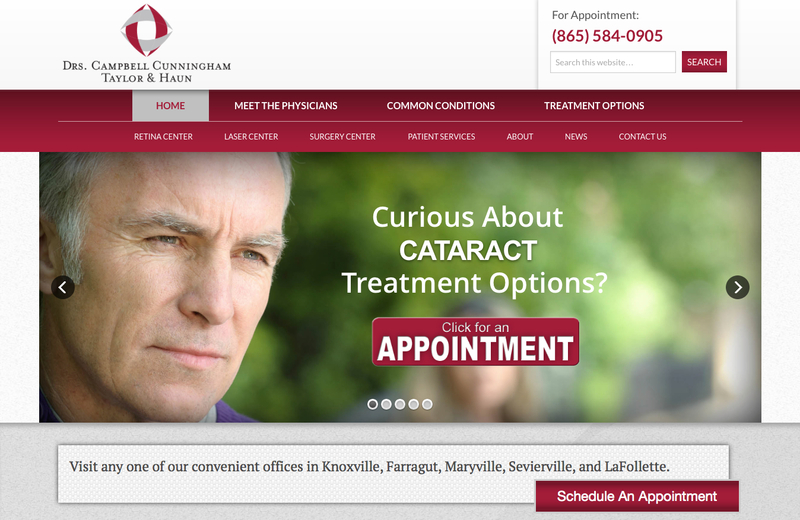 are part of an Ophthalmology practice that has served Knoxville and East Tennessee for over 60 years.